What is a Student Satisfaction Survey? 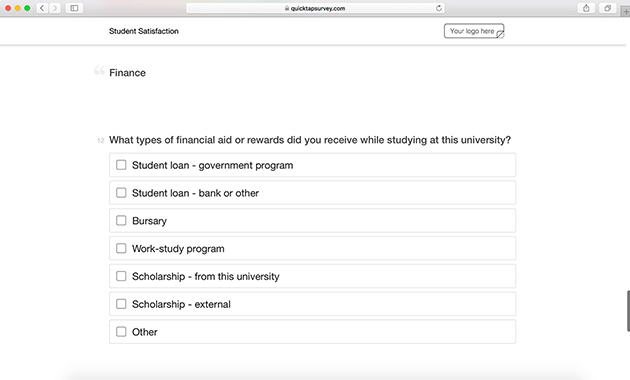 A student satisfaction survey is a set of questions that measure a variety of factors of student success. 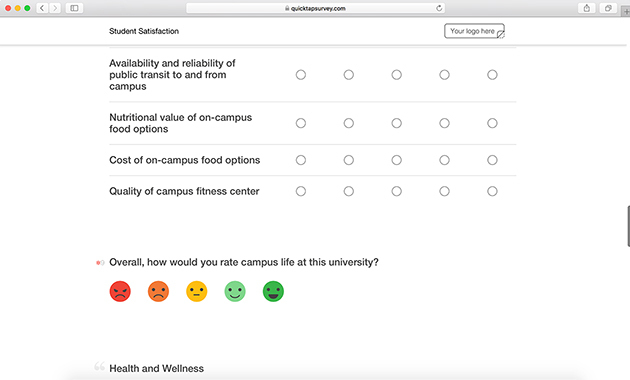 From academics to life on campus, this survey template covers a wide variety of data to build a holistic view of student life. 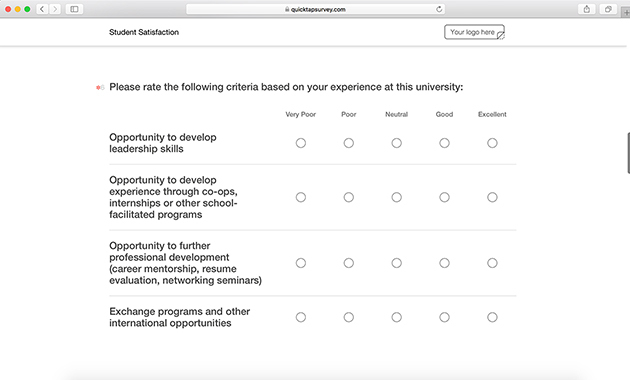 Use this survey to increase enrollment, strengthen programs, and empower your students with the insight gained from their feedback. 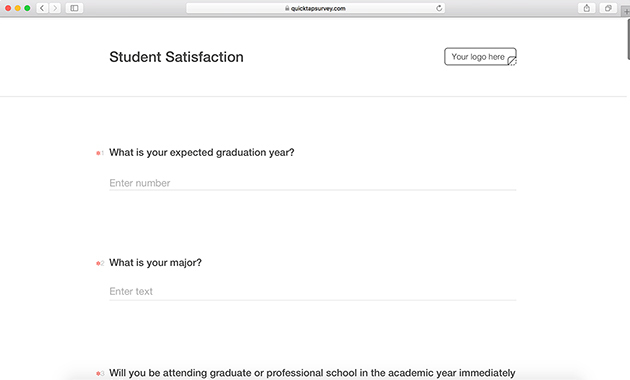 With QuickTapSurvey and this awesome survey template, you can build valuable insights to help students succeed. 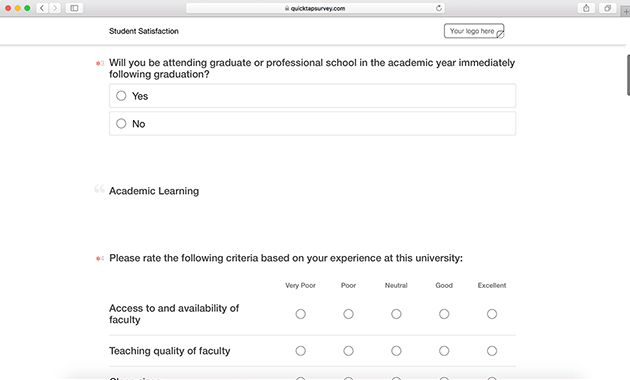 Overall, how would you rate your academic learning experience? Overall, how would you rate your non-academic learning experience? 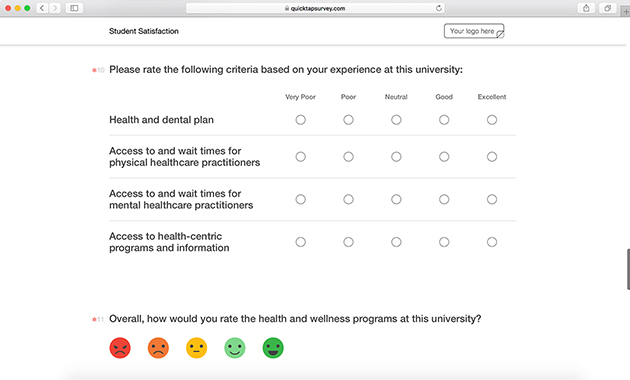 Overall, how would you rate the health and wellness programs at this university? Apart from overall satisfaction questions, there are rating questions to look at big topics in more detail. There are also open-ended text questions for students to elaborate on their thoughts and feelings regarding specific topics. Why use a Student Satisfaction Survey? Recruiting, retaining, and developing students is vital to a school’s success. Capturing student satisfaction data allows academic institutions to gauge areas where they are doing well and areas they need improvement. With this survey template, it is easy to discover what students value about their education. With this information, school administration can develop plans to ensure students feel like they are safe, happy, and developing into productive, informed members of the community.